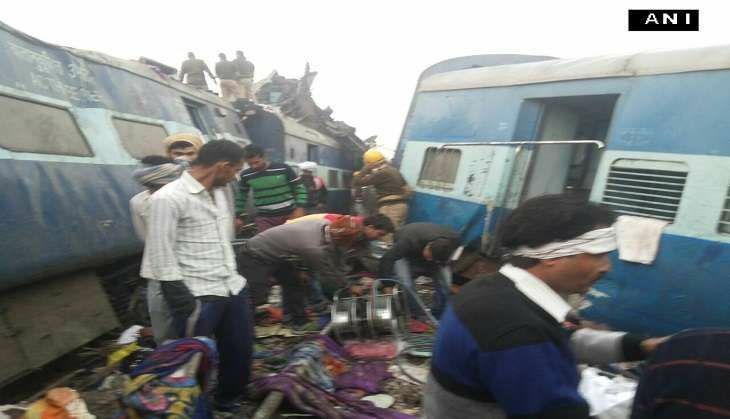 The death toll in the Kanpur rail tragedy mounted to 145 today while the search operations for any survivors came to an end. Five National Disaster Response Force (NDRF) teams comprising 250 people were involved in the massive rescue operations that lasted for over 30 hours, in which continuous attempts were made to fish out bodies and possible survivors from the wreckage. UP DGP Javeed Ahmed confirmed that 123 bodies have been identified so far and from them, 110 have been handed over to their kin. The search and rescue operation by NDRF began in the early morning of 20 November and was monitored by DG NDRF who rushed to the site of the accident. Earlier today, Union Railways Minister Suresh Prabhu said the government has ordered an inquiry into the Kanpur train tragedy and added that a forensic investigation is required to look into every possible angle. "Inquiry by the Commission of Railway Safety into the accident has been ordered to determine the correct cause of accident. There shall be a separate comprehensive forensic investigation by an appropriate agency to look into every possible angle," Prabhu said in the Lok Sabha. He added that adequate help and assistance is being provided to the passengers and appropriate action will be taken against the guilty.